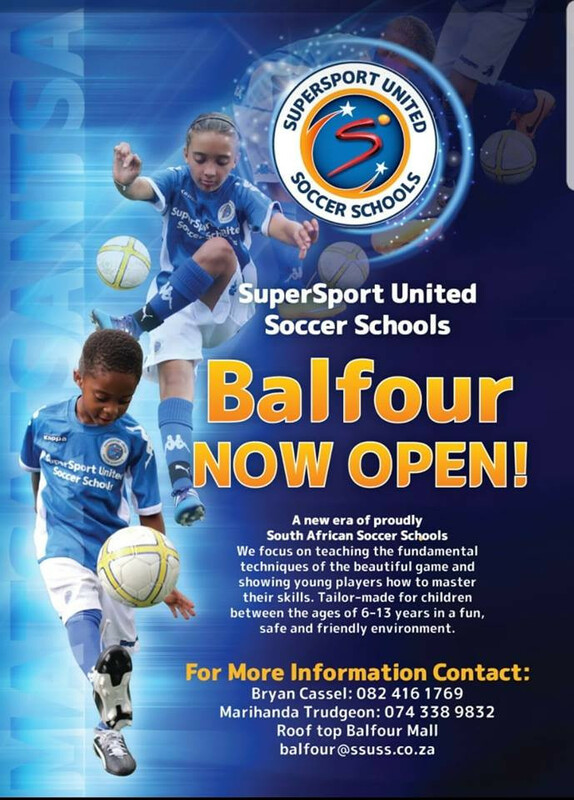 SuperSport United Soccer Schools Balfour open for registrations for ages 4-15. Join before the end of Feb and get a SuperSport rucksack free. Offer only valid if registration fee and training fees are paid.